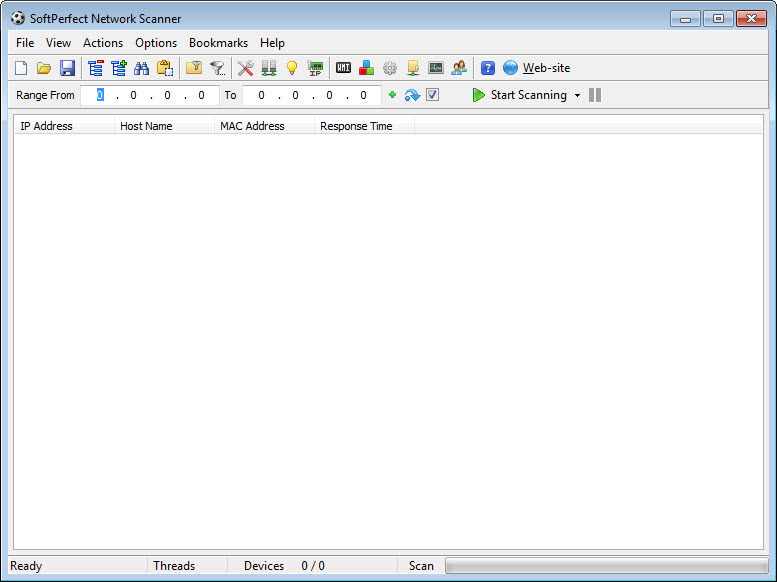 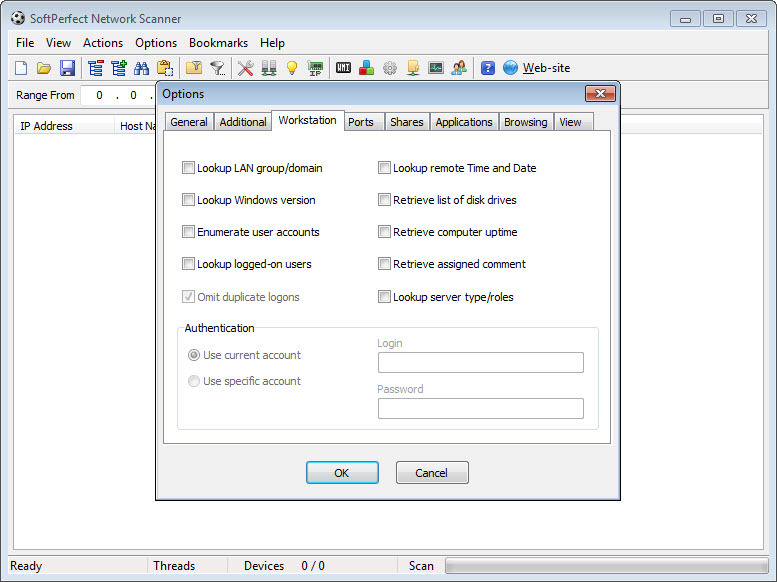 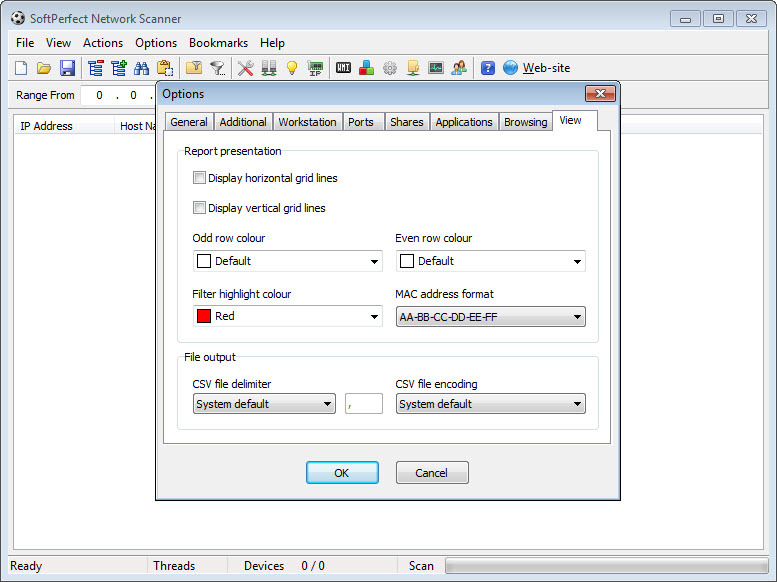 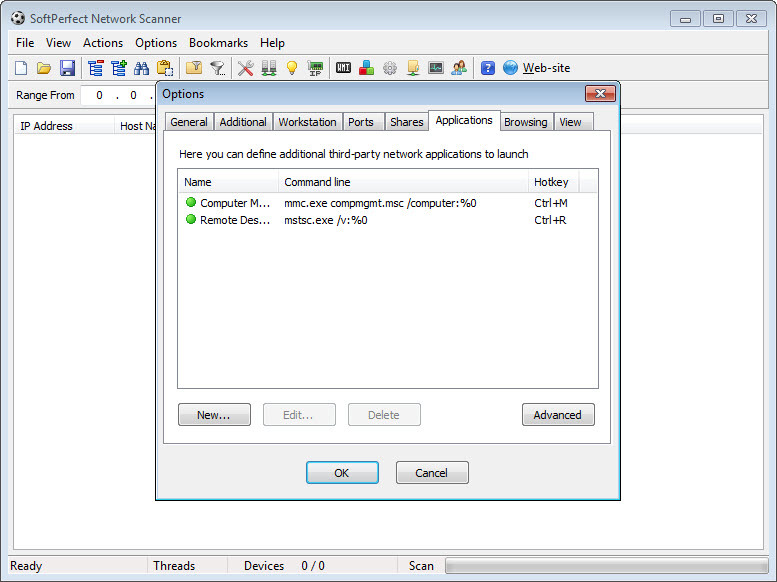 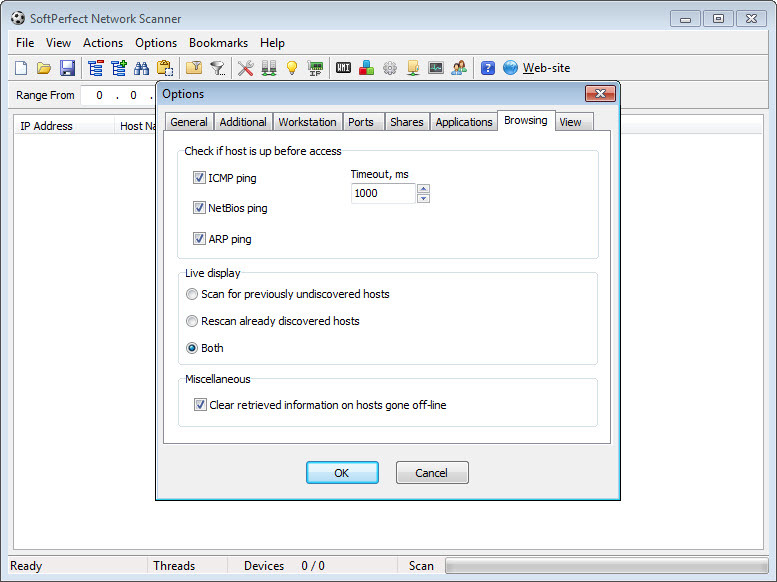 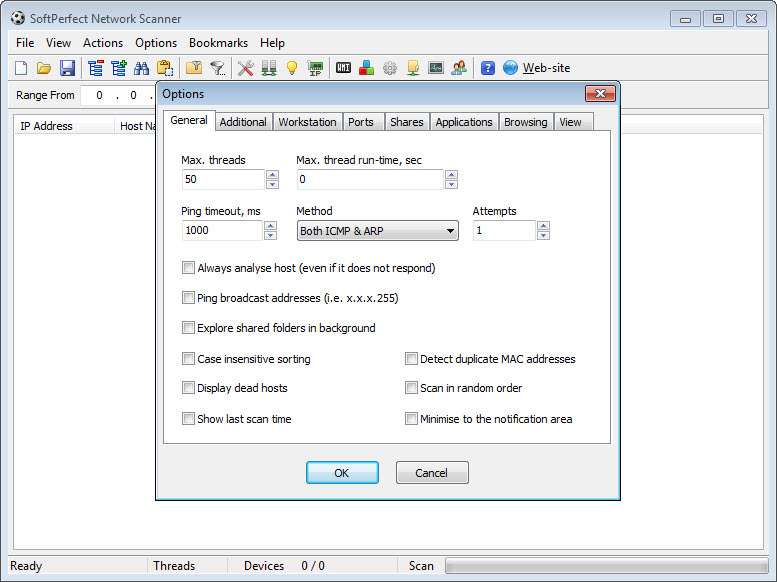 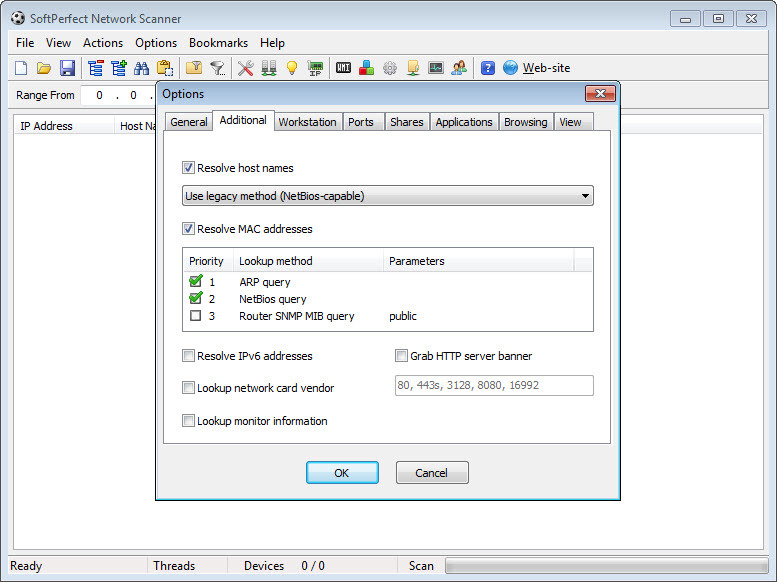 SoftPerfect Network Scanner is a multi-threaded IP, NetBIOS and SNMP scanner created for system administrators and general users that are very fond of internet security. 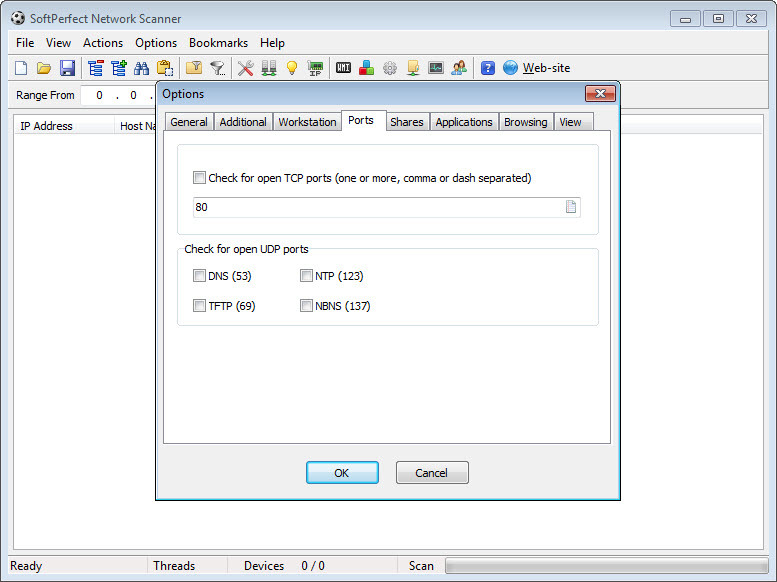 The program can ping IPs, scan for listening TCP/ UDP ports and display resources shared over the network. 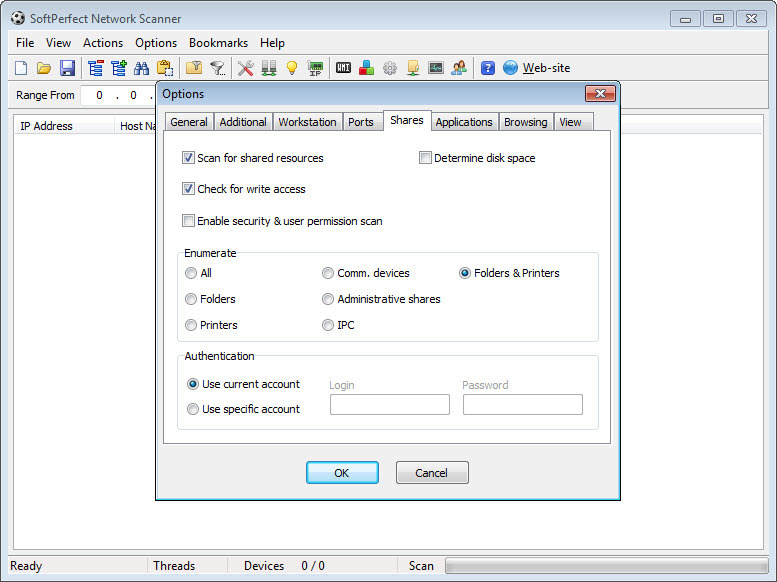 In addition to this, it mounts shared folders as network drives and lets users browse them using Windows Explorer. 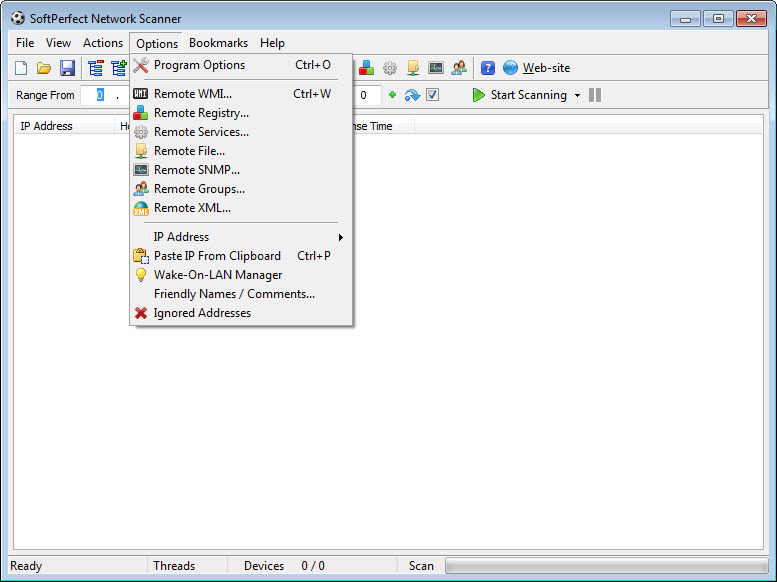 Shutdown and Wake-On-LAN are two options that pop into view from an impressive list of features: MAC identification across routers, hidden folder detection, third party applications, it retrieves information about the users and exports everything in XML, HTML, CSV or TXT. 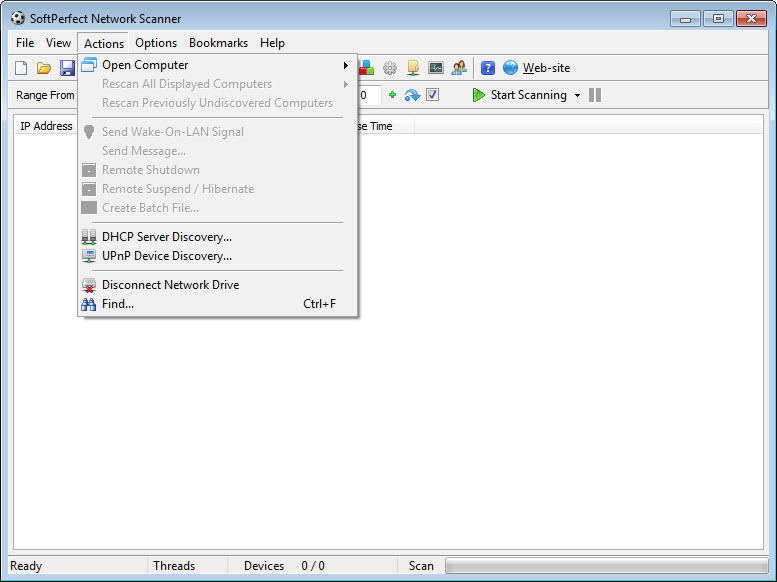 The scanner comes only in a portable version.